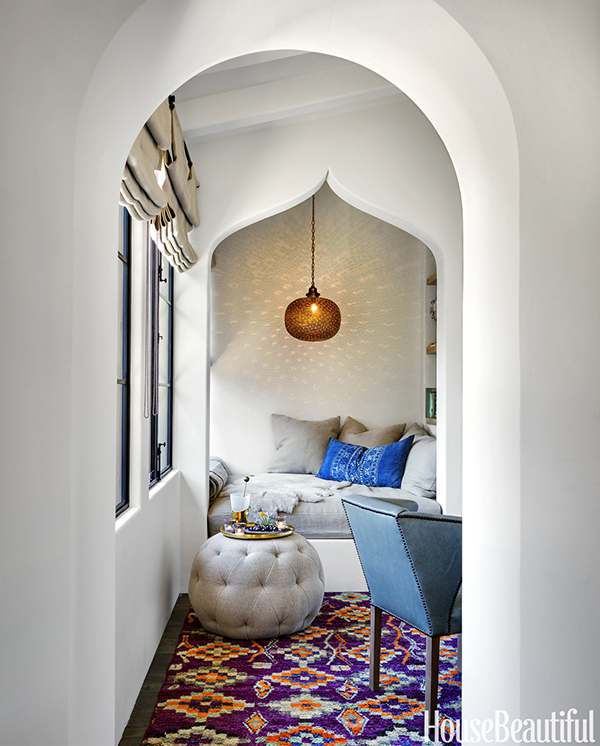 My design tastes really run the gamut: New England prep, California bohemian, Parisian chic, the textiles of Spain, Middle Eastern and African cultures are just a few styles I am inspired and intrigued by….. You name it, I can find something I love in each! 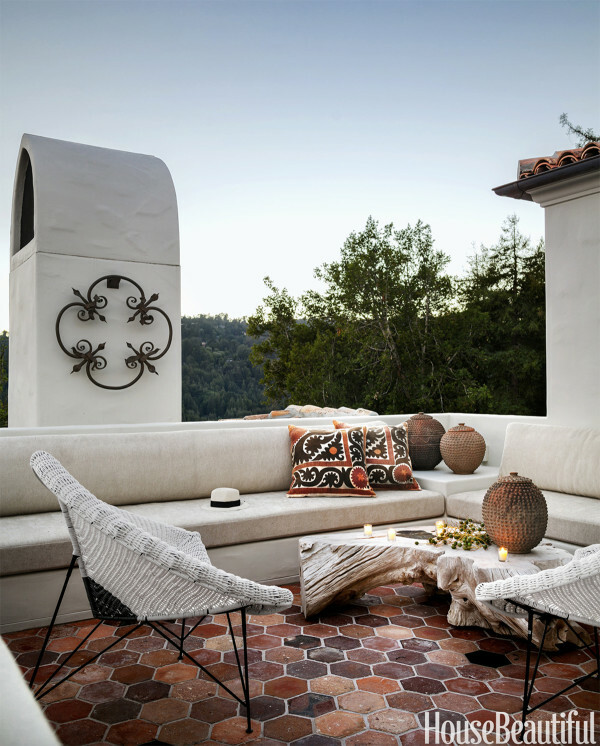 When I read about this home in House Beautiful by California designer Erin Martin I was drawn to the rich layering and off beat mix of materials and furniture…..It is far from the norm and I am loving that!! 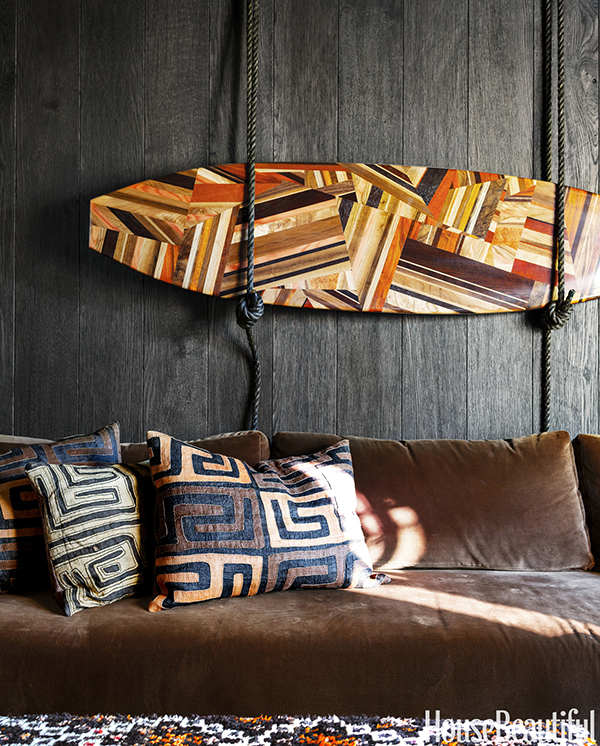 Natural woods and ethnic graphics will continue to inspire in 2016. And that kitchen? 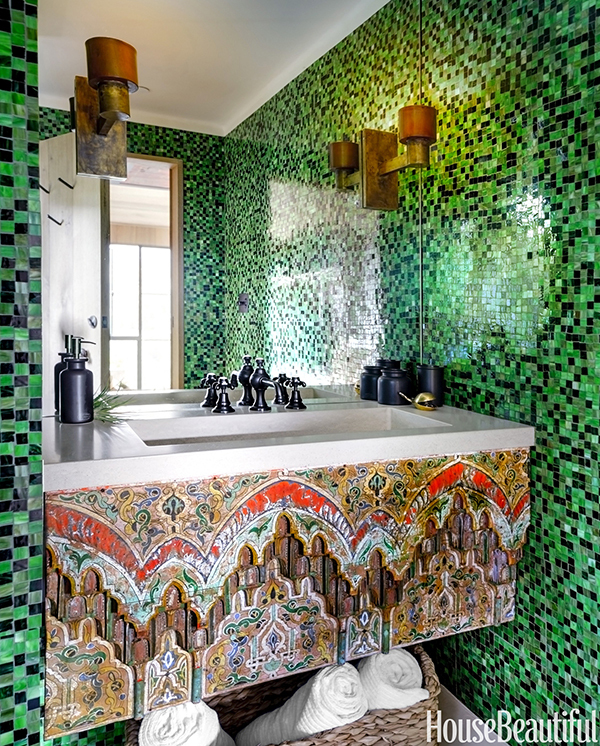 Every detail is perfect,,,, right down to those fabulous stools and pendants. Eek..and the best part? 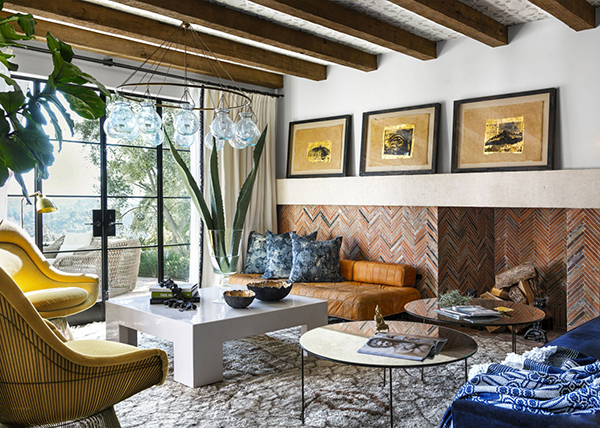 All these groovy elements and unexpected colors come together to form one uber cool, cohesive Spanish casa. 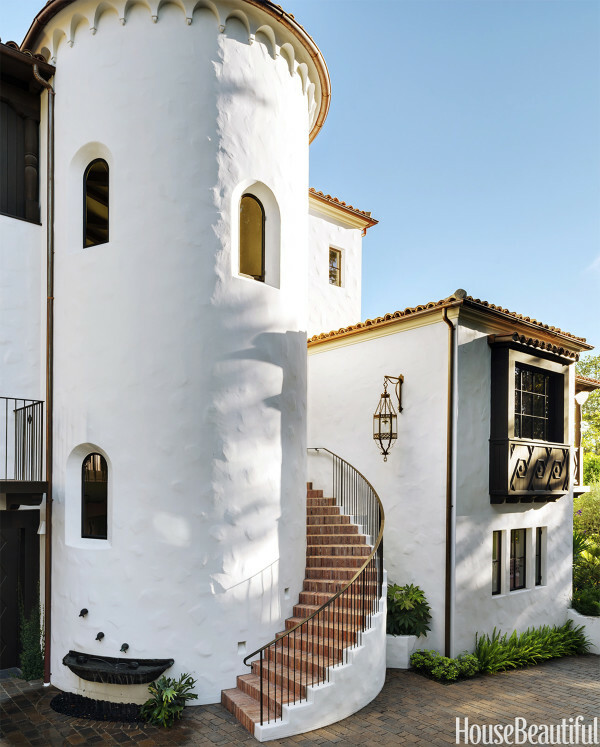 The exterior photos remind me of the house I lived in , in Los Angeles in the Hollywood Hills. Boy would I like to live in that house again !